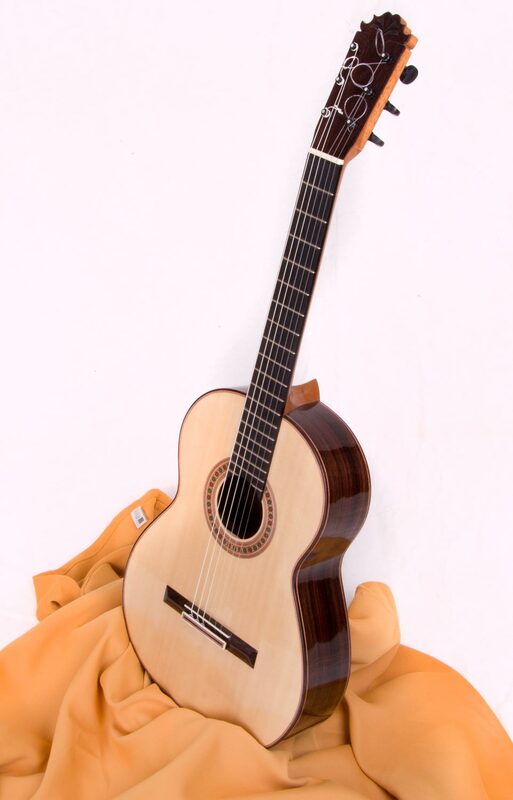 Luthier ... he is situated in Cartagena/Spain and makes extraordinary guitars. Piece by piece (no series). I ordered mine one year ago and went recently to Cartagena for 3 days to pick it up. The sound is outstanding... The flamencos use to say to a great guitar "cañón"
To this one i would say "grand piano"
Post up a video if you can! here two vids before the French polish. 2. Place in the "Festival del cante de las minas"
Sounds very responsive, mui flamenco and quite tinny (a property some don´t like, but I do). Mid range seems dominant. Trebles could have a tad more whir & sweetness, I think. Mine "Marina" has a very balanced sound.. For a negra the trebles are very clear. The bass sound is good and not to dominant like in other "negras". It sounds very flamenco...this guitar was built for that . Didn't know Cayetano Moreno, monster player. The guitar sounds great. Search for Cayetano Moreno Castro. Lovely guitar, sounds like a gem. Hi Paco, this is one beautiful guitar, soundwise and esthetic wise. Wow! I see it's an old post and the website you're suggesting is being blocked by Firefox and stated as unsafe. I cannot find another website of him so I ask myself if he is still in business. Other name? Other website? Anyone who knows more about this fine luthier? Indeed it`s an old post but still actual. After that long time i still love to play with "Marina"
Thanks for your reply and greet to hear that you're still very satisfied with your guitar "Marina". I also tried the link with Safari and Opera. Both tell me the same thing as Firefox did:"the website is dangerous". Perhaps my level of safety is a bit higher than the usual. Facebook isn't an option for me because I'm not on facebook. When I search Google, Duck Duck go or Bing for ' Jose Antonio Villalba' there aren't any results for his website so I think the linke is not functional any more. I just tried Mozila Firefox, Google Chrome and Microsoft edge. With each of this browsers i got to the page of Jose Antonio Villalba Bernal.